Last week, EA sent shockwaves through the industry when they canned Visceral Games’ anticipated single-player Star Wars title, shuttering the acclaimed studio in the process. Led by former Naughty Dog creative director Amy Hennig, the project had been pitched as Star Wars meets Uncharted from the makers of Dead Space, which sounds amazing. How could such a surefire combination go wrong? An official statement from EA hinted the game may have been cancelled because it was too linear, or lacked trendy online features, leading to a flood of panicked editorials about the impending demise of single-player games. Turns out the truth is more straightforward – the game simply wasn’t very good. Kotaku has posted a lengthy insider report about what went wrong with Visceral’s Star Wars game, codenamed Ragtag, and a vendetta against single-player games is not the smoking gun. In fact, EA executive vice president Patrick Söderlund specifically shot down the anti-single-player theories. 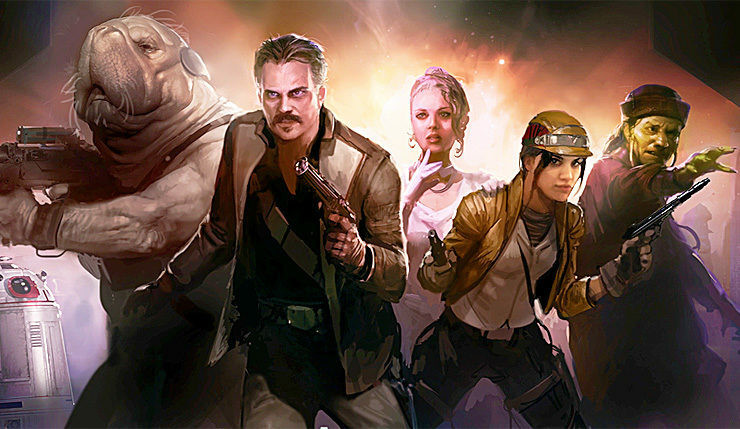 According to Kotaku, Ragtag was set between A New Hope and The Empire Strikes Back, and was to be a sort of “Star Wars Ocean’s Eleven,” featuring a cast of charming space criminals. The main character was Dodger, a dark version of Han Solo, and he was to be backed by a variety of colorful teammates, each with their own AI and play styles. Unfortunately, Ragtag was undermined by a lack of staff, issues with the Frostbite engine, and, most crucially, organizational issues within Visceral itself. Amy Hennig’s overbearing leadership style reportedly rubbed many the wrong way, although according to one employee, things at the studio were rotten long before she showed up. I highly suggest you check out Kotaku’s full exposé, as it contains way more fascinating detail than we can get into here. It’s an eye-opening look at how easily even a talented team can go astray, and a potent reminder that good video games are very, very hard to make.